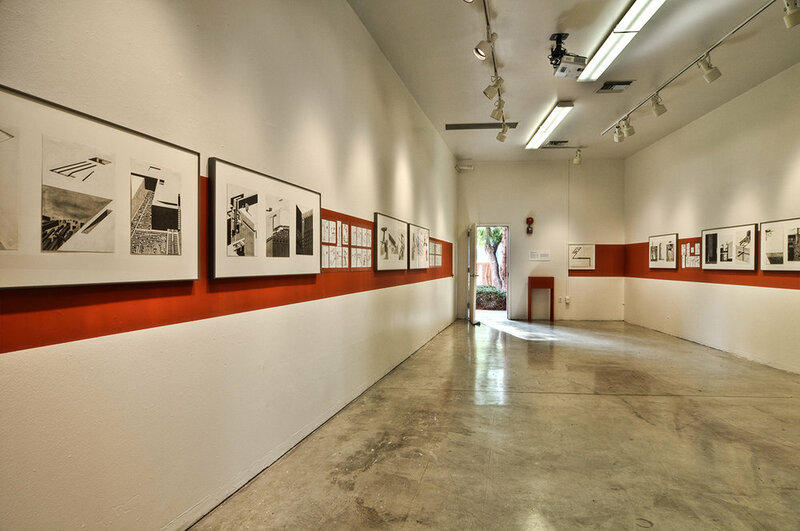 Subterranea: Drawings by Rick Gooding first premiered at Woodbury School of Architecture’s WEDGE Gallery in Burbank, California. The exhibition ran from January 10 through 28, 2012, with an opening reception on January 13. 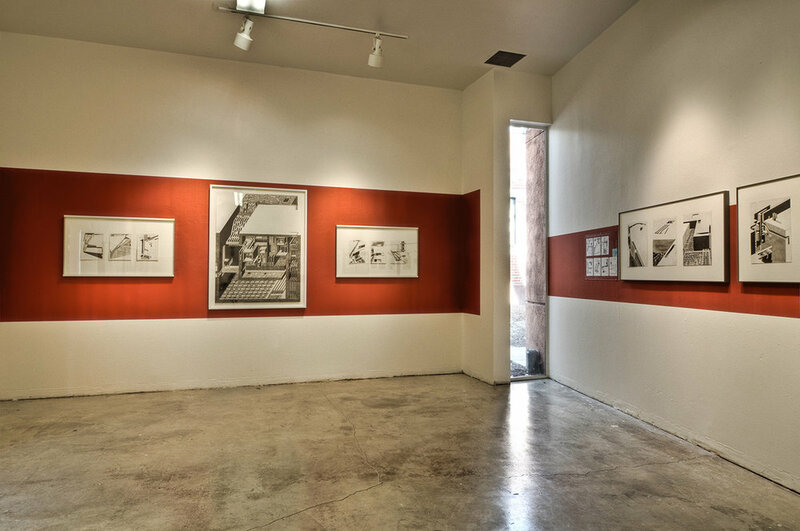 Subterranea: Drawings by Rick Gooding marked the artist’s first solo exhibition. From the dawn of Man, he has inhabited underground caverns and caves around the world. Over 2,000 years ago, the Anasazi built communities of stone and brick above ground, but at Chaco Canyon, their ceremonial kivas at Casa Rinconada, Chetro Ketl, and Pueblo Bonito were all partially subterranean. In the mid-1700s, Italian artist Giovanni Battista Piranesi created a set of engravings known as the “Imaginary Prisons,” which depicted fantastic underground labyrinths of whimsical monumental architecture and ruin. These were epic in volume but empty of purpose. In the early 1960s, the Austrian architect and artist Walter Pichler created a series of sketches for underground cities, which evolved into monumental sculptures with anthropomorphic overtones. Nearly a decade later, American artist Michael Heizer created a wide range of desert sculptures exploring depressions in the earth, which first led to his “Displaced/Replaced Mass” sculptures and culminated in his monumental “Double Negative,” a 1,500-foot-long earthwork at the edge of Mormon Mesa in Nevada. All of the above-mentioned works are the inspiration for this series. 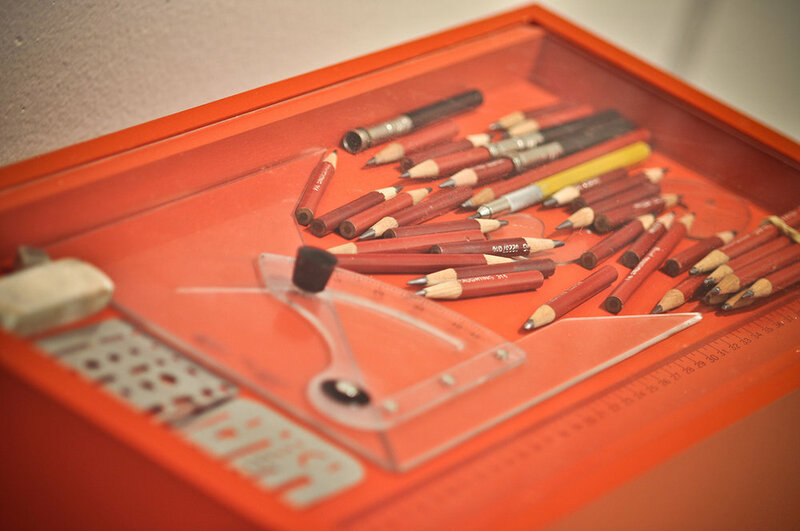 The drawings began with a single sketch in a small book, which initially had more to do with composition than any preconceived purpose. These sketches went forgotten for a couple of years before I decided to develop them into a series of drawings. Using leftover paper from my office and only a loose straightedge and pencil, I would immediately start to hard-line the drawings, without any measuring, improvising as I went. Shading is done with only a 314 Draughting Pencil or ground 314 graphite rubbed on with my finger.